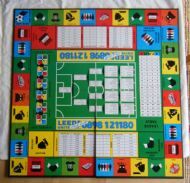 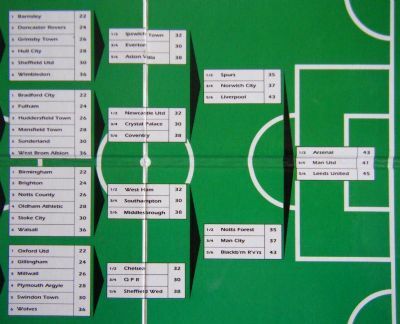 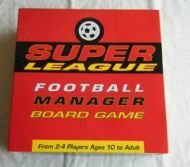 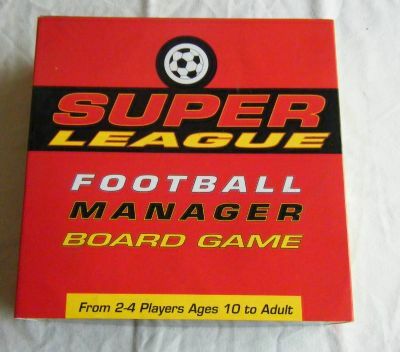 The same game as Brian Clough's Football Fortunes but without the computer programme element and with a revised central game board but many of the same pieces and cards. 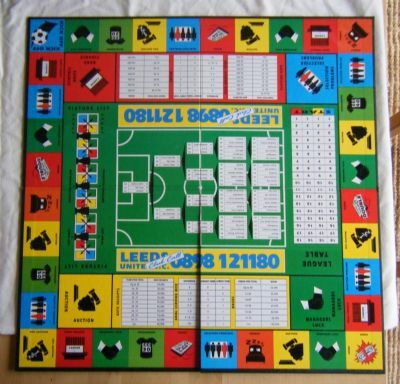 A very enticing and well designed playing board with central fixtures area. 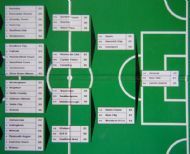 The centre of the board is the home of the fixture list. 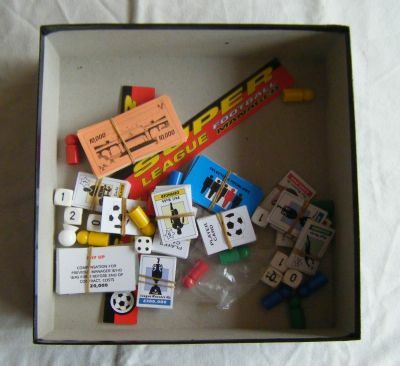 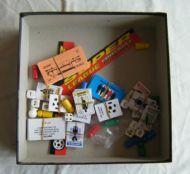 Many many playing pieces originally supplied in cut out sheets. 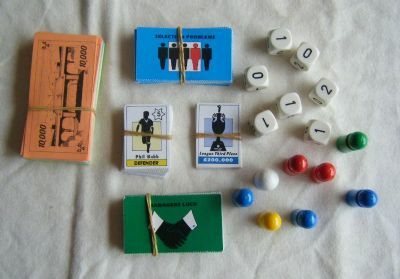 Plenty of counters, money, incident cards, player cards and scoring dice.